As I am hopefully moving house soon, again, I have got to sort all my stuff out. However I seem to be opening more boxes than I am packing. In my spider infested garage I keep all my old projects that have fizzled out. 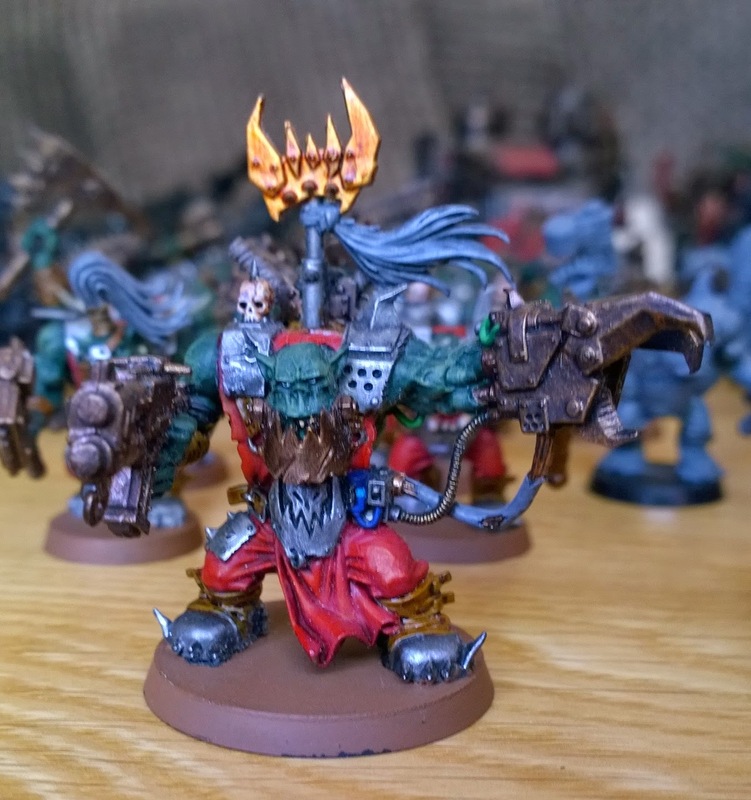 However with the new Ork codex coming out I thought I would see what I have. 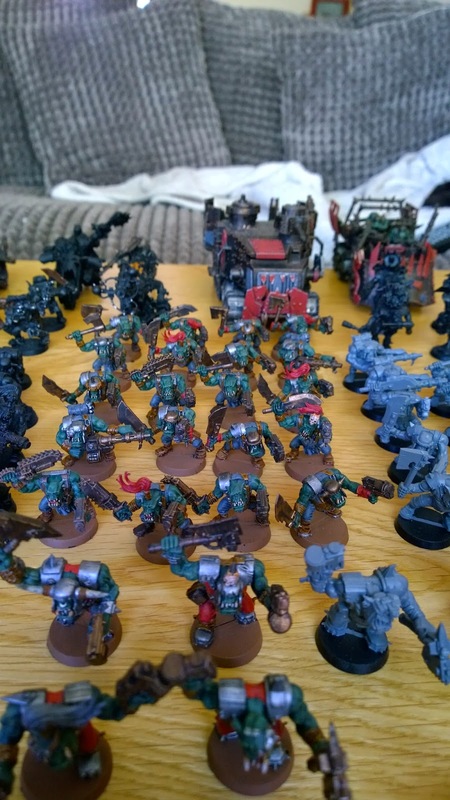 Also I am moving soon to a 40k dominated club so these may soon see some action. There are 2 Black reach box sets. 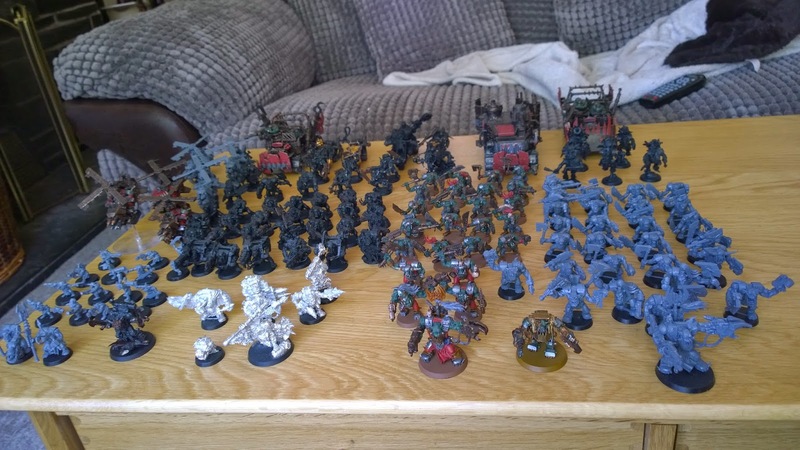 Which is how these started as I gave the Marines to my brother and kept the Orks. 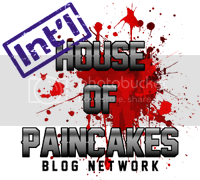 I painted them up with Blood Axes in mind. 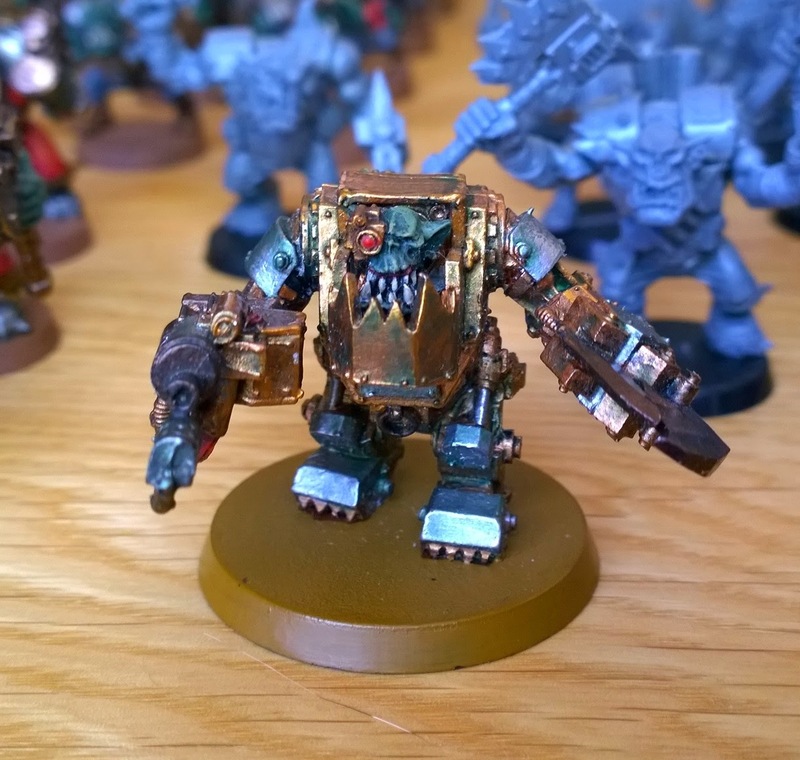 I kept the paint scheme simple so that I would hopefully have an easier time painting them. My only Mega Nob. All alone! 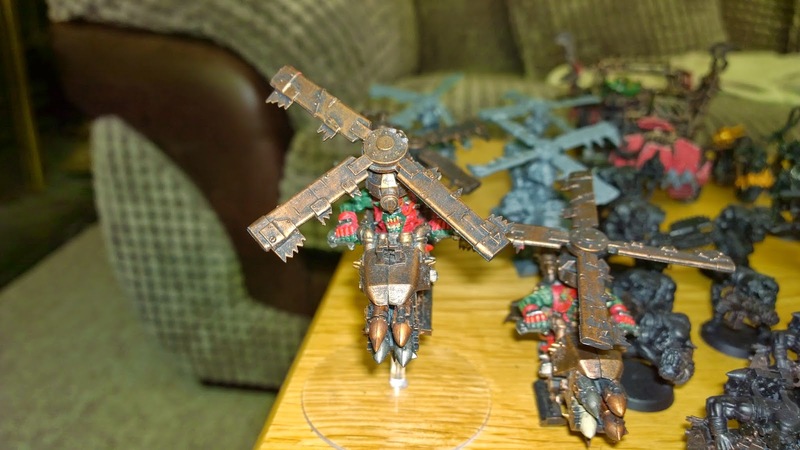 The kopters have suffered abit but being Orks it probably still works. 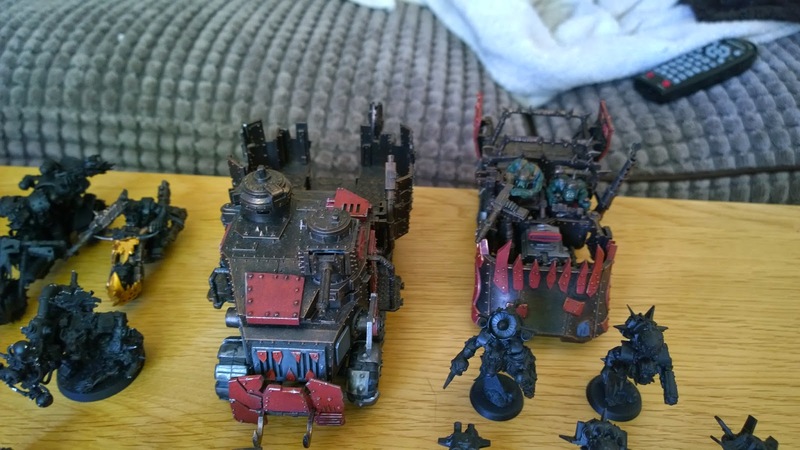 The battle wagon has lost the 'Ard cover and one of the trucks with a couple of storm boyz looking sad in black. Now they have to go back into a tub for moving. But hopefully they will soon see some action after the move! It is sad they all they have to battle at the moment are the spiders.